Introduction: There are times that God’s promises seem too good to be true or practicable. However, we need to convince ourselves of God’s ability to do the unusual/incredible. There are several instances in the Bible when such things happened. they were fasting in the 5th month, among others, in memory of the destruction of the temple and Jerusalem (v.19). Note: As there are good memorials so are there bad/sorrowful ones. Their sorrowful memorial fasting would now be joyful, glad and cheerful feasts (v.19). The news that Mary would conceive and give birth to Jesus sounded incredible. Her question to angel Gabriel was, “How shall this be, seeing I know not a man?” Luk.1:34. But the angel concluded his explanation with, “For with God nothing shall be impossible.” Luk.1:37. Note: Have you ever heard it said, “Seeing is believing”? That is an absolute lie from the pit of hell. Conclusion: Jehovah God is set to fulfil His promises and do great things in your midst this month, a month of harvest of miracles. 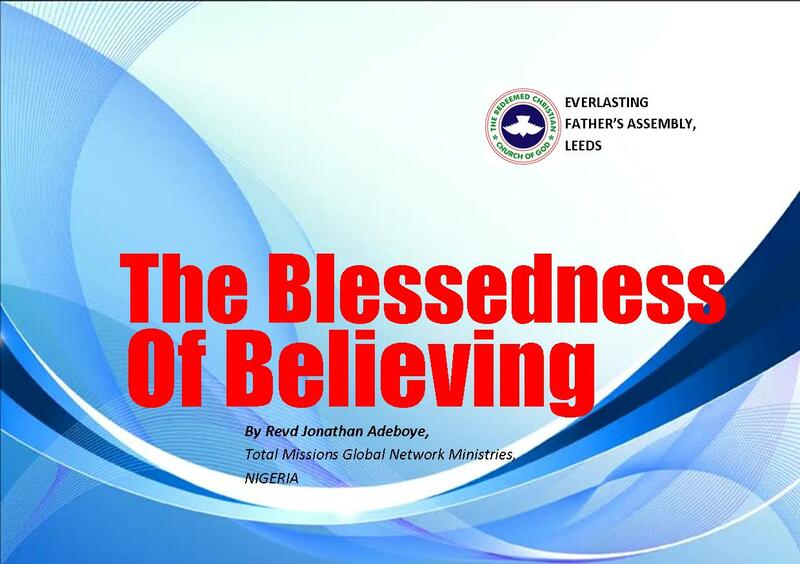 Faith, unwavering faith, is the only route to partake of the Most High’s blessings. Our Lord authoritatively asserted, “Heaven and earth shall pass away, but my words shall not pass away.” Mat.24:35. Therefore, believe and you, like Mary, will experience the performance of all Jehovah is promising to do.